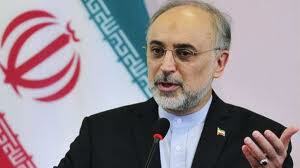 IRAN: Iranian Foreign Minister Ali Akbar Salehi has expressed optimism on the outcome of the Islamic Republic’s two-day talks with the P5+1 group in Kazakhstan. “From the latest information I received, I'm happy to say that the outcome of the meeting was positive, that it has been put on the right track and it is moving in the right direction, and that is important,” Salehi said at the 5th United Nations Alliance of Civilizations Global Forum in Vienna on Wednesday. Iran and the P5+1 (Britain, China, France, Russia, the United States, and Germany) wrapped up their negotiations in Almaty earlier in the day. The two sides agreed to convene in the Kazakh city again on April 5-6 for the next round of negotiations after holding “expert-level” talks in the Turkish city of Istanbul on March 17-18. “I would say things are taking a turning point, and I think the Almaty meeting will be a milestone,” the Iranian foreign minister stated. He further expressed optimism that the process that has started would eventually produce an outcome that will be “in the benefit of both sides.” Iran and the five permanent members of the UN Security Council plus Germany have held several rounds of talks with the main focus on the Islamic Republic's nuclear energy program. Over the false allegation, Washington and the European Union have imposed several rounds of illegal sanctions against the Islamic Republic. Iran rejects the allegations, arguing that as a committed signatory to the nuclear Non-Proliferation Treaty (NPT) and a member of the International Atomic Energy Agency (IAEA), it has the right to use nuclear technology for peaceful purposes.